BETTER™ Estate Agents is a vibrant, 'attraction brand' of outstanding, hand-picked real estate professionals. Crisp, impactful and memorable, this premium banner embodies innovation and the fundamentals of real estate professionalism and tradition. 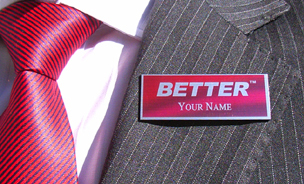 To wear the BETTER™ Agents name badge is an honour, an achievement and a true privilege offered by invitation only. To be a BETTER™ Agent one must be an exceptional person first. If you strongly feel this applies to you, and you love real estate, please make yourself known and contact us to declare your interest.